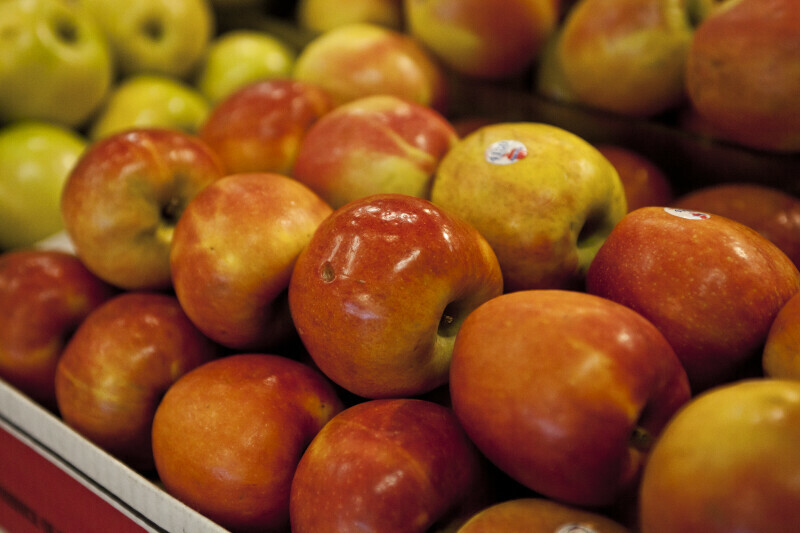 The Fuji apple is a late-season apple, often harvested in late September. It is originally from Japan and has yellow-green coloring with red highlights. WARNING: You are about to download a 48.4 MB TIFF!